Hail the Houston Astros, MLB17’s World Series champion. Last year it was the Chicago Cubs ending the drought of all baseball droughts (1908) in taking the title which’d seemed pretty well in the Cleveland Indians’ grasp (4-3). This year it was a first-time winner, the Astros, who joined the Major club back in 1962 as the Colt .45s and having failed in their one prior Series opportunity in falling to the White Sox in 2005 (4-0), those Pale Hose nabbing their first WS in quite a spell (1917). The opinion amongst media is that this Astros team is a template for the future MLB. Meaning, a steady, snoozy diet of numbers and more numbers (Zzzzz). Why the Cubs (2016), Royals (2015), Red Sox (2013) and Giants (2014, 2012, 2010) weren’t touted as such, who knows? It probably has something to do with the fact these present champions are what some are calling a sabrmetric special, aka, analytics. There’s an apropos pun if there ever was one. Houston operators in manager A.J. Hinch (formerly of the Athletics (See; Moneyball)), GM Jeff Luhnow and club PBO Reid Ryan all relied heavily on statistics, aka, “data,” to shape, guide their roster to the promised land, making the Astros the first sabrheaded organization to grab-hold of that brass ring. But don’t bet the farm on Houston just yet, no matter how the numbers crunch. Astros team ERA in WS17, a whopping 4.64. Astros team BA: .230; OB%: .297; and SLG: .467. Those #s mean the Houston dudes hit poorly throughout but slugged for go-ahead runs in key moments as the Dodgers’ slightly better pitching faltered at the worst possible times (4.45). Those numbers, the trophy, they suggest one word: Opportunistc. That’s a good trait but not one that’ll bedrock for a dynasty. Not too surprising to know that winning a World Series is no guarantee for lifetime employment in the Major League baseball ranks as both former skippers of note, Joe Girardi (NYY 09) and John Farrell (BOS 2013) discovered in being fired post-playoff runs by their respective ball-clubs. John was canned after the Red Sox fell to the Astros in the 2017 ALDS, 3-1, Joe pink-slipped when his Yankees lost to the same Houston club in the ALCS, 4-3. Not every owner accords that achievement (a WS title) with such an ephemeral appreciation. Some hold it close to their hearts, or so it would appear. Case in point, billboard billionaire (OutdoorSystems) and Angels’ owner since 2003, Tuscon native Arturo Moreno. The wheeler-dealer seems to hold the view that such achievement should afford a manager his job as long as he wants to continue in the position. Bully for him. 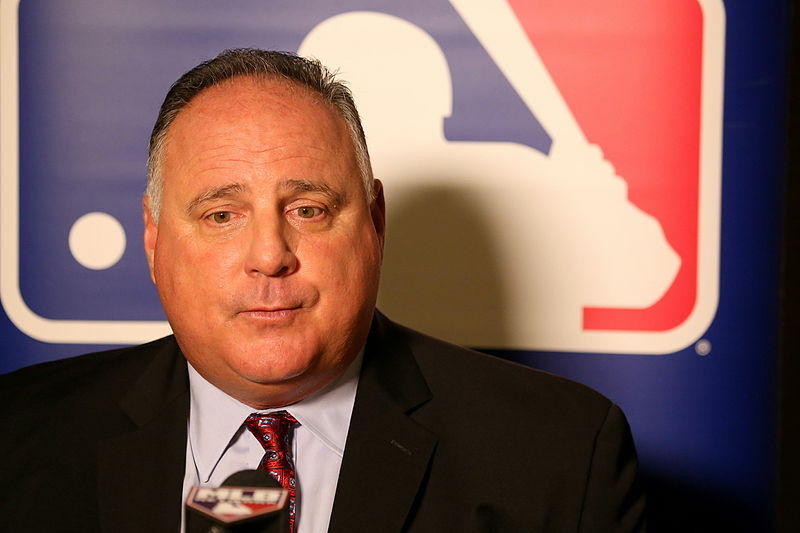 Mike Scioscia completed his 18th year at the helm of the Halos at conclusion of 2017. It was his 2d consecutive sub-.500 finish, in a total of six. In all, Scioscia has compiled a 1570-1346 record (.538), managed seven post-season appearances, one 100-win year (08) and one World Series in 2002, the Angels only Pennant that resulted in a championship win over the Giants, 4-3. ♪♫ And the beat goes on ♪♫. The Astros first MLB title. It’s fan-friendly watchability: G5 (Astros 13-12) ended at 1:17 AM – EST. Cries of foul for what appeared an official ball juiced to the threads. Clay Kershaw finally performing, for one start (G1), anyway, like the pitching great his regular season stats have predicted for years. No, it won’t be remembered best for any of those. What World Series 2017 WILL be best remembered for is racism, it’s knowing expression through the Astros’ Yuli Gurriel and its appeasement by Major League baseball’s Cufflink-in-Chief, Commissioner Rob Manfred. You could say, prejudice got a pass, until spring. Sigh. The setting: G3 in Houston with the Series knotted-up at 1-1. It’s bottom of the 2d, the Astros’ Gurriel, a 33-year old Cuban in his first full major league season, hit’s a solo shot off of Dodgers’ starter and Japanese native, Yu Darvish (b.1986) who’d been a Texas Ranger (13) through the first-half of 2017. 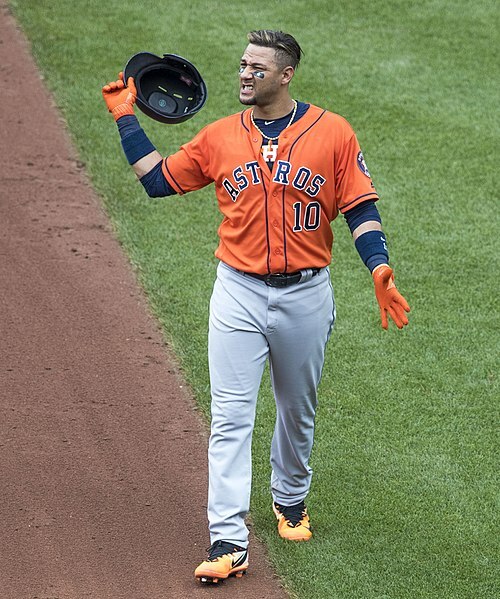 After all the celebrating, taking his dugout seat and of course seeming in good spirits, Gurriel threw a racist brick at Darvish (Because Yu was thoughtless enough to toss a homer pitch?) in putting fingers to his eyes in childish Western-mimick of an Asian appearance, laughing and thinking himself cute. Not done, he also was overheard spewing the word chinito, meaning Chinese boy. 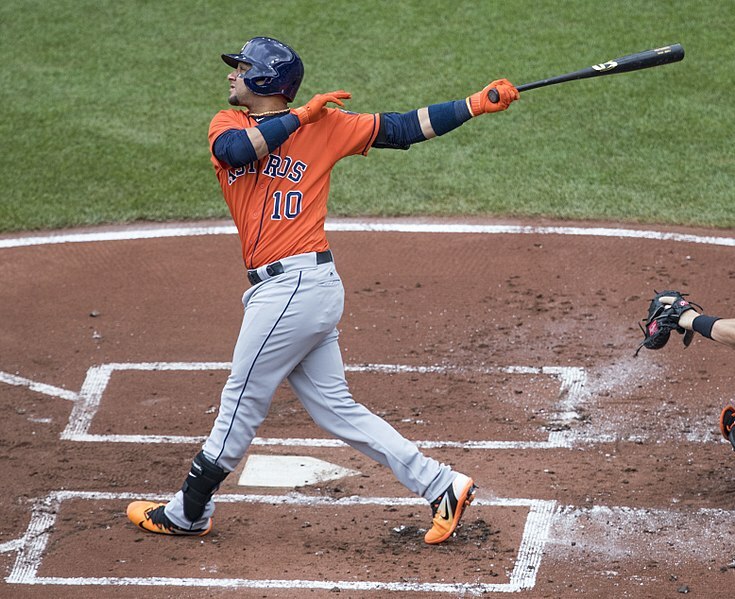 In Bugs Bunny speak, Yuli is a “maroon.” But he claims to understand this mental state, at least its wrong, so MLB, his ‘mates, Astros’ fans, major and junior media have all rushed to forgive the offender. How wonderful (ugh). Commissioner Rob Manfred did not suspend YG, not even for one contest in a Series that went seven (I‘d have banned him from entering either stadium for two (2) games). Instead, Rob gave Gurriel a 5-game delayed supension to commence at the start of the 2018 season, assuming he’s still on the team. He turns 34 in June, per his birth certificate. And with that deferred susp’n which presently amounts to no punishment at all, an awful message was sent to the public: In the rush to forgive and return to calm waters (Darvish took the high road but was in no good position to protest), racism will be tolerated by MLB if the offender “understands” his wrong, claims non-intent and an immediate susp’n in penalty might upset the balance of play when TV ratings ($) are at stake. And what DIDN’T Baseball’s response do? It didn’t help Baseball, domestically or internationally. That it was the Dodgers on the receiving end of Gurriel’s racist buffoonery works double damage to the national pastime’s image, the team that in Brooklyn under the Walter O’Malley, Branch Rickey, Mulvey & Smith ownership, rostered Jackie Robinson to break the color barrier (47) and has since been a leader in making the game a showcase of diversity for all races including Hispanic Central America (Fernandomania) and throughout much of the Orient (Nomomania). It didn’t aid in the fight against racism. 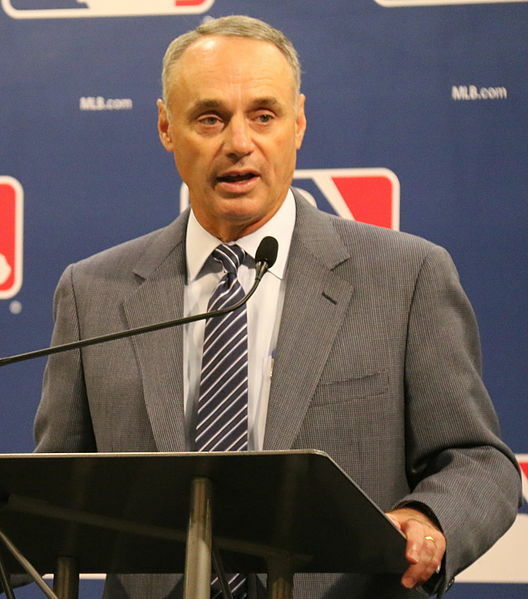 It didn’t help Rob Manfred who is now a symbol of weak leadership, defined forever by his failure to take the bull by the horns. And it didn’t really help the Astros whose title is now tainted, reminiscent of the Italian national soccer team’s World Cup win in 2006 (Germany). When deadlocked in the championship match, Marco Materazzi hurled a harsh, family insult to France’s superstar Zinedine Zidane who head butted the offender to the ground. ZZ of course received the red-card (expelled), Italy received the advantage in OT and went on to win the Cup yet left their pride on the field. Astros won the Series. I don’t know how much Gurriel’s presence shaped the result. He did contribute. Exactly how much of a factor his presence in all games 4 thru 7 had is neither here nor there, for justice, doing the right thing, shouldn’t balance on whether the wrongdoer is a star player or off-the-bench reserve. But as disturbing as Gurriel’s goof and Manfred’s knee-buckle was how the Astros rallied around their teammate, acting as if his friendly clubhouse persona absolved each of them from holding the Cuban to a standard of decency and he to any sort of symbolic sacrifice in Series time lost. So much progress yet still a ways to go. I’m hopeful Yuri helps us get there.